”So the title is “At The Top of My Voice”. So you’ve got to also dig it as, not merely wanting to address posterity (as (Percy Bysshe) Shelley did – “scatter my words, ashes and sparks among mankind” [from the closing lines of “Ode To The West Wind” – actually, “Scatter, as from an unextinguish’d hearth/Ashes and sparks, my words among mankind”], but, also, he’s got to speak over the heads of the political critics and over the ring of iron that was beginning to slowly close around (him)”. 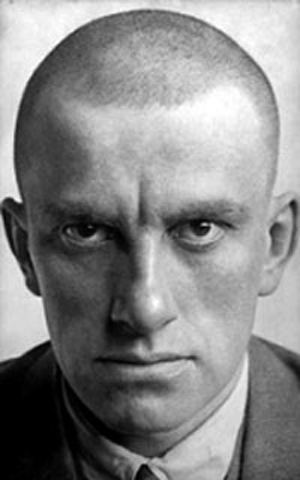 Allen’s translations of Mayakovsky – he freely drew from what was current and available. Since 1981, scholarship and translation has developed and improved. One useful source is Michael Almereyda’s 2008 Night Wraps The Sky: Writings By & About Mayakovsky (which includes Matvei Yankelevich’s new translation of Mayakovsky’s classic “A Cloud In Trousers” (rendered here as “A Cloud In Pants”) and Ron Padgett’s “adaptation” of “At The Top of My Voice” – (“Screaming My Head Off”). Literary critic Marjorie Perloff reviews it here. Allen confesses that Frank O’Hara was his conduit to Mayakovsky: “I had never read any Mayakovsky but Frank (O’Hara) turned me on to him and I’m always indebted to him because that opened my interest in Russian poetry. You see, Mayakovsky wasn’t printed in America, as (Pablo) Neruda wasn’t printed in those days, for being “Commies!”. A special treat – for Mayakovsky’s birthday – here’s “an excerpt from a larger documentary by Copernicus Films and the director, Michael Craig, about Mayakovsky, (and part of a series of six flms about the Russian avant-garde and Futurism)”. And here’s the man himself! – in four parts – “Baryshnya i khuligan”. The 1918 film, written by, directed by, and starring, Vladimir Mayakovsky! (parts two, three, and four can be found here, here and here).